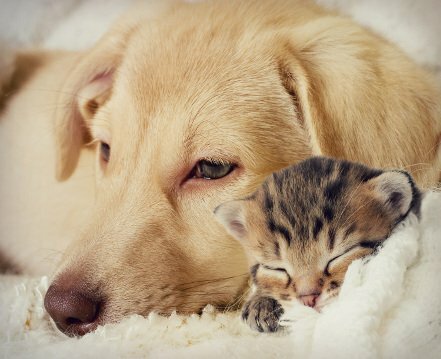 HOW MUCH IS PET SITTING WITH A FAMILY LIKELY TO COST? It's important to know how much pet sitting with a family is likely cost you and to be clear about your requirements to calculate accurate pricing, In addition to the price for the actual sitting, there may be optional extras you may wish to consider. These days there are a lot of websites offering pet sitting services thoughout the UK. As a pet owner, you should be careful about what is included in the price for these pet sitting services. Some sites display just the petsitter’s fees while others show an all-inclusive price (pet sitter’s and the site’s fees). To be sure of the total cost, it’s better to stick to sites which display all-inclusive prices for their services. This is set by the pet sitter according to the types of animals they can accept and the different types of service they can offer. The pet sitter’s rates are calculated on a daily basis and most sitter’s employ a sliding scale if you need pet sitting for more than 1 animal. If you use a specialist pet sitting website, they will put you in touch with sitters according to your selection criteria. In order to provide a quality service, most sites include an amount for Public Liability insurance in their fees as well as additional cover which varies from site to site (pet health cover, 24/7 emergency service). In addition to the initial price displayed when you made your search, some sites may offer optional extras. These options are of course not obligatory. You decide whether or not to add them according to your requirements. You live in a big city and don’t have access to a vehicle. If the pet sitter agrees you can request a pick-up and return service. The pet sitter undertakes to pick up your pet on the day the sitting starts and return it on the last day. The transport costs are generally calculated based on the mileage between your home and the pet sitter’s. Make sure the sitter knows what size your animal is – this will enable them to decide more easily if they’re in a position to offer the pick-up service. If your pet does not get on with other animals or you prefer to avoid the risk, you can request a sitting with no other pets. With this option, the pet sitter undertakes not to accept any other animals during your pet’s stay. In addition this service is only offered by sitter’s who don’t have pets themselves. So your pet will have the undivided attention of the sitter. There will of course be an additional charge for this option, which you’ll see by specifying this request when you do your search. If the sitting is for a long period of time and it’s impractical to transport all the food that will be needed, you can ask the sitter to provide this. With this option, no need to carry heavy bags of biscuits with you when you drop off your pet, it’s the sitter who’ll supply all the food during the sitting. In order to avoid any digestive problems, you’ll need to specify the type of food your pet is accustomed to in advance. Naturally you’ll need to reimburse the sitter for the cost of any food provided and for that reason we ask ask the sitter to keep receipts.